Affective Hospitality: How to teach emotional intelligence and soft skills? How to teach emotional intelligence and soft skills? The future of hospitality is affective hospitality. behaviorally, it is the choice and actions people make. At the heart of an affective hospitality are therefore guests’ individual emotions. Recent changes in social values and lifestyles have turned emotions into the core drivers of individual well-being, and emotions determine the guests’ future behavior. We can achieve emotions through verbal and non-verbal (e. g. seeing, feeling...) communication. For affective verbal and non-verbal communication to be authentic, staff needs to be authentic. Therefore and in addition to traditional service competencies, hospitality employees need to develop emotional competences and be trained to become «stage directors» who have the ability to provide a positive, individual and memorable guest experience – notably the most demanding task in hotel or restaurant management. Affective hospitality redefines the barriers between host and guest and empowers hospitality employees. They create live on-property communities and generate long-lasting emotional experiences. People have strong affective experiences in any hotel - whether they are travelling for business or for leisure and all these experiences remain linked to the hotel and its brand. From an academic point of view, the focus on affective hospitality is increasing the importance of soft skills. 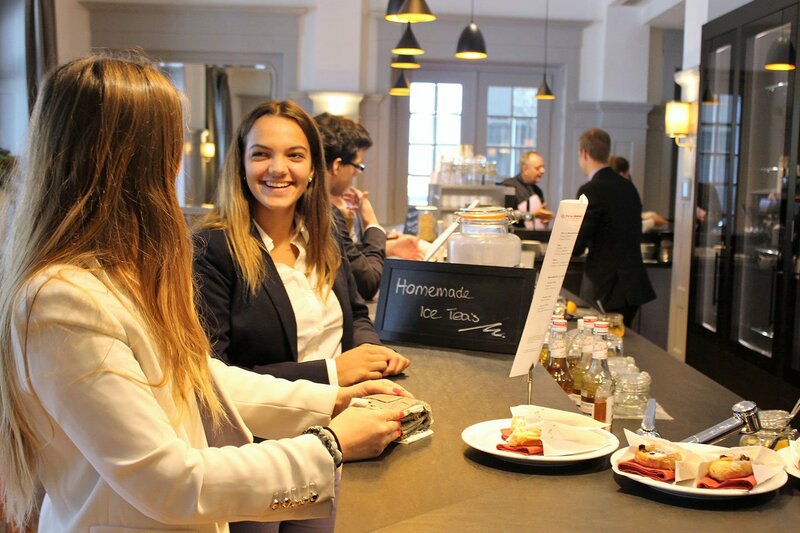 In contrast to other hotel management schools, SSTH does not only teach social skills, but also strengthen self-awareness, self-regulation, motivation and social awareness. The students should be trained to be enthusiastic hosts with a good feeling for themselves and their counterparts. Only hotel managers who can create emotions and truly unique experiences will be able to succeed. Therefore, SSTH equips the students with the right tools and emotional abilities to be agile stage-directors in the world of affective hospitality. The hospitality industry may not be prepared yet but SSTH is well positioned for this change of paradigm and will play a leading role. SSTH is both a trend-setter and leading school in affective hospitality worldwide. SSTH graduates combine empathy and efficiency, they are shaping the future of hospitality.